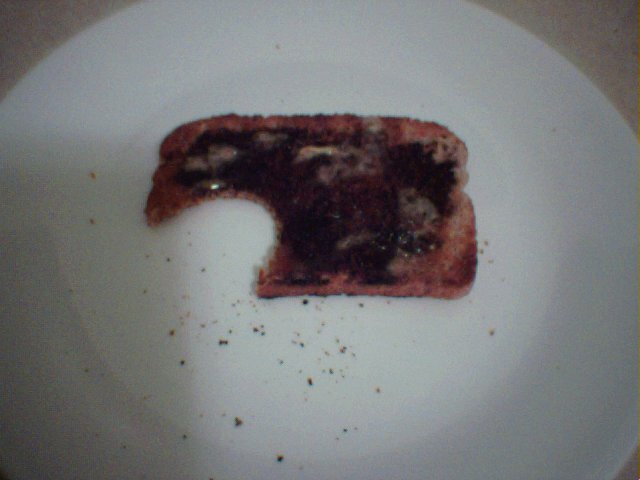 As everyone knows, Americans have no idea when it comes to spreading vegemite on their toast. You hear stories of people putting in on like jam (or is it jelly) and then complaining that it tastes awful. Vegemite (and its cousins Marmite and Promite) have a strong taste. It should be treated with respect and not just scooped out of the jar willy nilly (translation: with wild abandon). So, to help you all, I've put together the following story board. 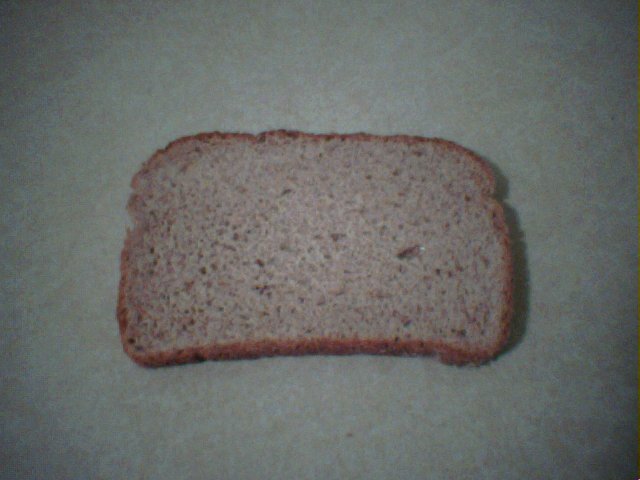 Start with a piece of bread. It doesn't matter what type but something slighly grainy is good. 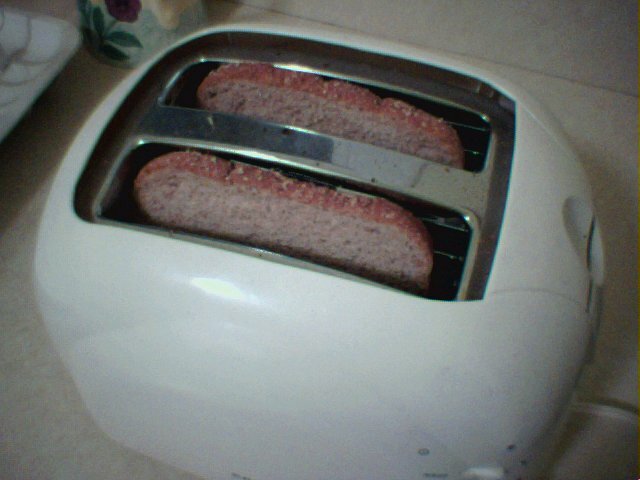 Put the bread in the toaster and cook until golden brown. Just like this ... you will also need a plate, a knife some margarine (but butter is much better!) and some vegemite, marmite or promite. Butter the toast, right to the edges. Now, get some vegemite on your knife. Not too much. No, that is way too much - put some back! Remember this isn't like jam. 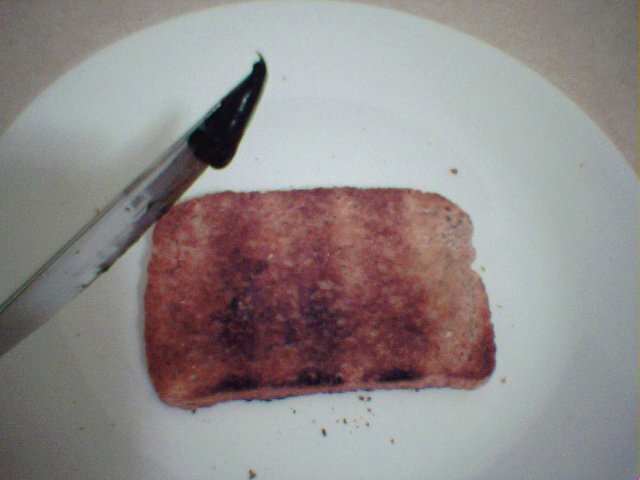 The following picture shows a knife with too much vegemite on it. 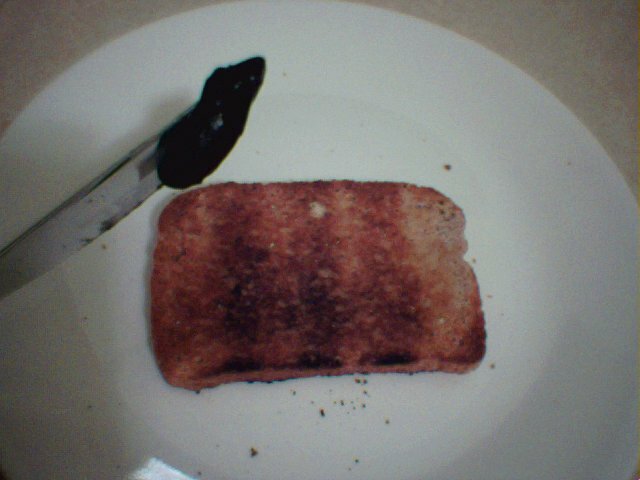 The picture below shows a much better amount of vegemite. 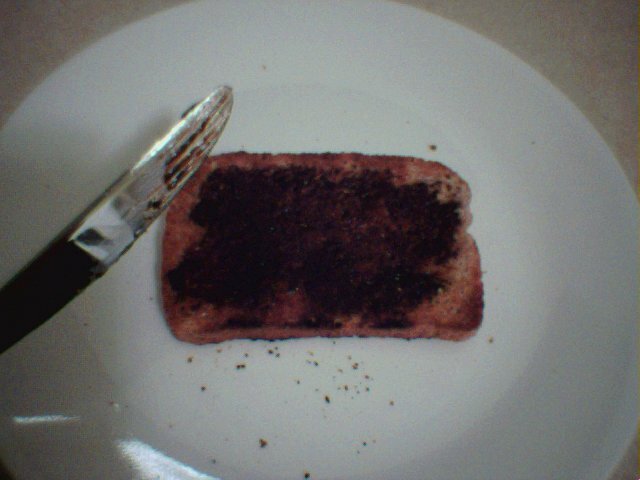 Now spread it thinly (THINLY) over the toast, again, right to the edges. There you go, now doesn't that look great. 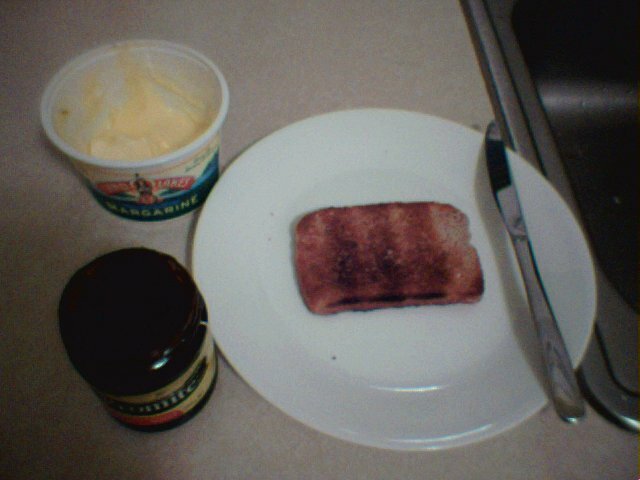 If you want an even better taste, you can spread some butter over the top of your vegemite.